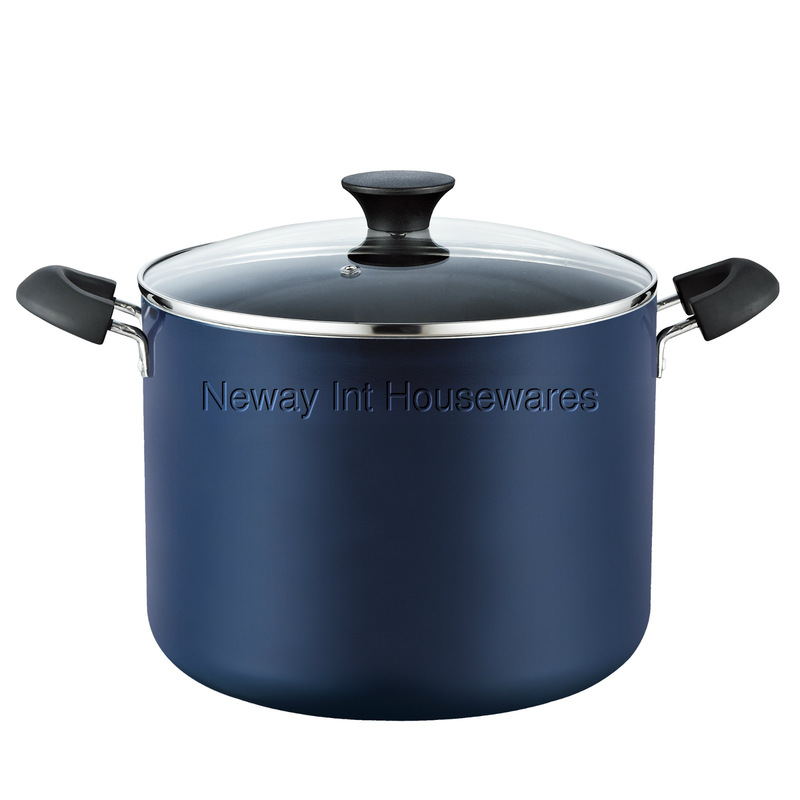 The Cook N Home 10.5 Quart Nonstick Stockpot with Lid, Blue is made of thick gauge aluminum that provides even heat conduction and prevents hot spots. Nonstick coating black interior makes food release and cleaning easy. PFOA, cadmium, and lead-free. Handles stay cool and are riveted for strength and durability. Tempered glass lid with steam vent makes viewing food easy from start to finish. Induction compatible. Works on gas, electric, glass, halogen, etc. Oven safe to 350F. Dishwasher safe. Nonstick coating provides last superior nonstick performance and is easy to clean. Even heat distribution and prevents hot spots. Handle is riveted for strength and durability. Tempered glass lid to view food cooking from start to finish. Dishwasher Safe, Oven safe to 350F, and can be used on all types of stovetops.